Kolkata: With a month to go for Rabindranath Tagore's birthday, a TV serial on the life of Mrinalini Devi, his wife, and other women who played a role in the poet's life, is in the making. The serial is based on the book Aami Rabi Thakurer Bou (I am Tagore's wife) written by a well-known Tagore researcher Ranjan Bandyopadhyay. 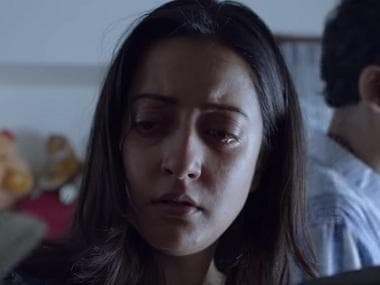 The serial will highlight the lesser-known sides of the bard's creative life, director of the serial Manish Ghosh said on the sets at Baruipur Rajbari, near the city. It would capture the phase when the poet was in his early 20s and Mrinalini Devi came into his life, Ghosh said. "In her 28-year life, Mrinalini Devi spent 19 years as the wife of Tagore and had no other identity. The poet wrote fewer letters to her than to people in his outer circle. But she never complained," writer Bandyopadhyay said. 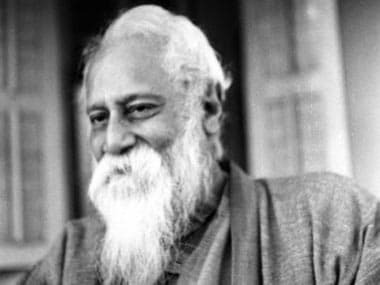 This was because, he explained, she had always known deep within her that Tagore could not be bound by the mundane formalities of family ties. "But wasn't there a loneliness and void deep within?" the writer-researcher wondered. Indraksahi Nag, who plays Mrinalini Devi, said, "My period era costumes like wearing saree in 'atpoure' (Bengali homely) style help transport us to that era. To add authenticity to her looks, we have stuck to the costumes as depicted in the works of that time." Script writer actor Padmanabha Dasgupta, who enacts the role of Jyotirindranath Tagore, described the book as a reappraisal of the role of Tagorean women. "I essay the role of Robi's Jyotidada, his mentor. And the serial also touches on my relation with my wife Kadombori," Padmanabha said. Priyam, an upcoming actor, is enacting Rabindranath of the early 20s, in the serial to be aired from early next month. "We have sought to capture the phase when Tagore spent most of his times at Selaidaha, now in Bangladesh, amid sylvan surrounding. The shooting was done in 57 locations - in the city, Santikiketan and Bangladesh," the director said. He said that the Baruipur Rajbati had been repainted in red to recreate the Jorasanko Thakurbari ambience. Incidentally, a film on Kadambori Devi by well-known director Suman Ghosh is waiting to be released.